I will not struggle in my blood line, I will thrive, He hides and covers me under His Wing I am safe in His care. He hides and covers me in His love. He took away my shame and reproach, He sent forth His son to redeem me from the curse, to save me, to set me free, and He sent forth His son and made a covenant with me. In His Blood He washed away my sins, forgave me, and anointed me with oil! He took care of me, He blessed me, never left me to go hungry nor begging for bread. He is my Jehovah Jireh He clothed me, He took care of me. I needn’t worry, He clothed me in the best, He clothed me in righteousness, and placed me before great men and women and showcased His glory, His daughter. He made His daughter understand that she is a queen, beautiful, dignified, holy, anointed, and worthy to be honoured. He caused His Light to shine on her, and ensured favour locates her. He says you are beautiful and of royal Blood anyone that says you are otherwise is a liar! Your ancestors practiced all types of iniquities. They indulged themselves in abominable acts, and served false gods. They set altars, and practiced witchcraft invoking evil spirits in high places. They did not know me, some turned their backs on me, and sacrificed to false gods. They sacrificed the destinies of their children, and of their children’s children for selfish gain. Blind, and ignorant they did not understand the severity of the curses in which they invoked upon their bloodline. Unknowingly their descendants suffer because of their ignorance, because of their evil. Generational curses are reoccurring in the bloodline because of past sins. No more will you be associated with the sins of your relatives. Mothers do not tell your innocent son that he is just like his daddy, especially if his daddy walks in sin. Fathers do not tell your innocent daughter that she is just like her mother, especially if her mother walks in sin. Parents do not compare your children to their siblings or peers. Rather, tell your sons and daughters that they are just like God, made in His wonderful, beautiful, and glorious image. You are in Christ Jesus therefore old things have passed away and have become brand new. He redeemed me, He redeemed you daughter and son of the living God by The Blood of The Lamb! Every stronghold shall be broken! You wear the Victor’s Crown! The Lord says tell my children to understand the bloodline, to understand the generation, to understand the curse for it is only through Me that my children are redeemed. Cursed was Canaan because he looked upon the nakedness of his father Noah, cursed were his descendants, but redeemed are those that have surrendered their life to Christ, the curse is removed, His Blood made the difference, the ultimate sacrifice, It Is Finished! The Lord says He will battle with those who battle against you, and fight with those who fight against you, He will make their road dark and slippery. Cursed is that man that curses you, because of you, and because you have surrendered your life to Christ, you have entered into a new covenant and that covenant is in His Blood. His Bloodline is the Abrahamic covenant. He judges the one that oppresses you. 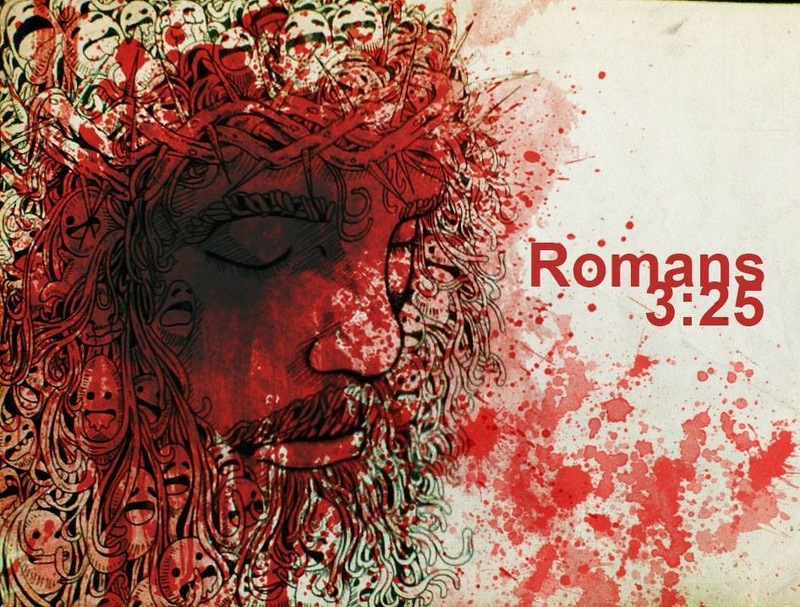 The Blood of Jesus speaks life! There is power, power, wonder working power! The Blood that Jesus shed for me. Oh The Blood that gives me strength, from day to day! For It reaches to the highest mountains! And It flows through the lowest valleys! The Blood, that gives me strength, from day to day! Oh Precious is the flow! No other Fount I know! He has risen from the dead, and He is Lord! The Name of The Lord is. The righteous run into it. This is so powerful. thank God for revealing this through you.